The NAS demonstrates several ways. The National Academy of Science consciously, willfully, deliberately lied about what, from the point of view of the mythology of “scientific method”, is the conflicts of interest of panelists in the body’s 2016 review of the record of GMOs. That’s in addition to the many substantive lies it told about this fraudulent, failed technology. 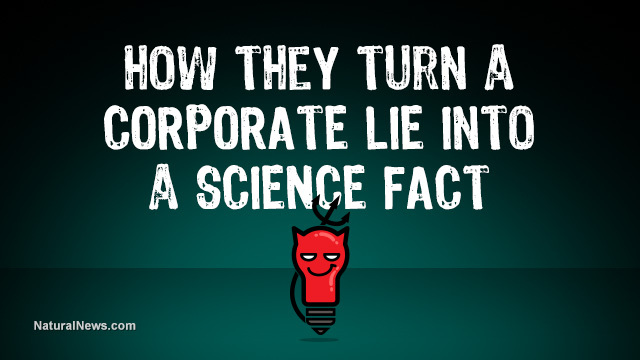 But this, and the open corporate funding for the group’s propaganda campaign touting the report, demonstrates the real state of science under the corporate science paradigm. Today’s scientific establishment believes, in the most literal sense of these words, that corporate profiteering interests are in fact part of science. The scientific establishment truly believes that scientific method rightly includes taking into account how a line of research can be monetized by corporations, and how the results of research can affect corporate profits. This is the ideology of the NAS, it’s the ideology of all regulatory agencies, it’s the ideology of most or all university science departments, and it’s the ideology of science writers in the mainstream media. This doesn’t change the fact that the NAS consciously, willfully lied about what it knows is considered by almost all non-STEM people to be conflicts of interest, even though the NAS itself considers such a corporate-science combined organism to be normative.